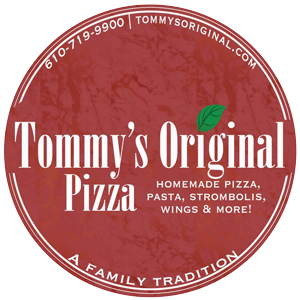 Online ordering menu for Tommy's Original Pizza. Everything in Tommy’s is house-made: the Pizza, Strombolis, Calzones, Steak, Spaghetti, Sauces, Hoagies, Authentic Italian Meats, Desserts, and everything in between. Our Bistro is inspired by Grandma Rosa. Everyone is special to her, and you are special to us. That is why we guarantee that everything you get is right on the first try. We're conveniently located on West Chester Pike between Strasbury Road & Ellis Lane. The West Goshen Shopping Center & Rolling Green Memorial Park aren't far away! Order online for carry-out or delivery today!